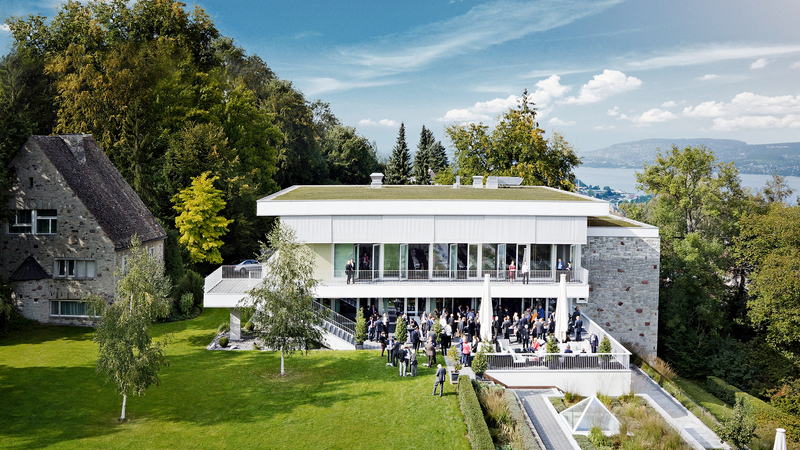 It takes only ten minutes from Zurich to the GDI Gottlieb Duttweiler Institut on Lake Zurich. 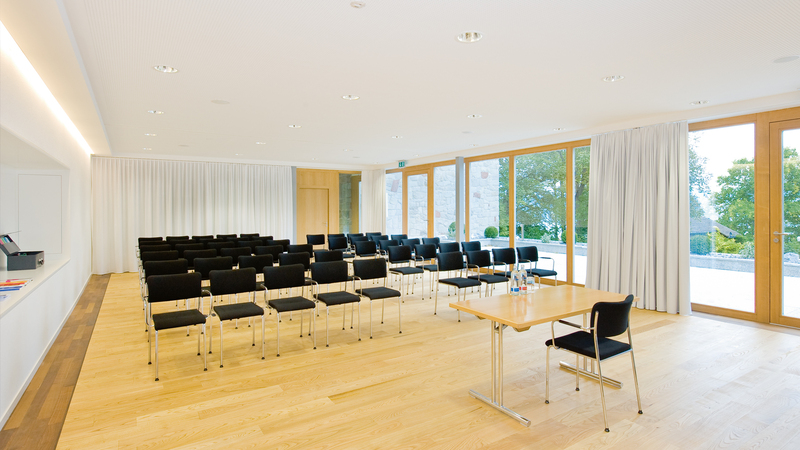 This facility is especially popular as a conference venue. 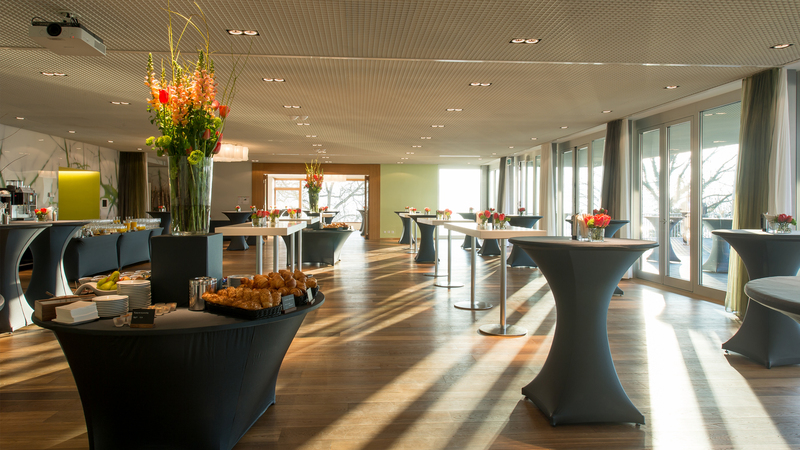 Organizers appreciate the professional infrastructure, the first-class equipment and the comprehensive service in this event location. 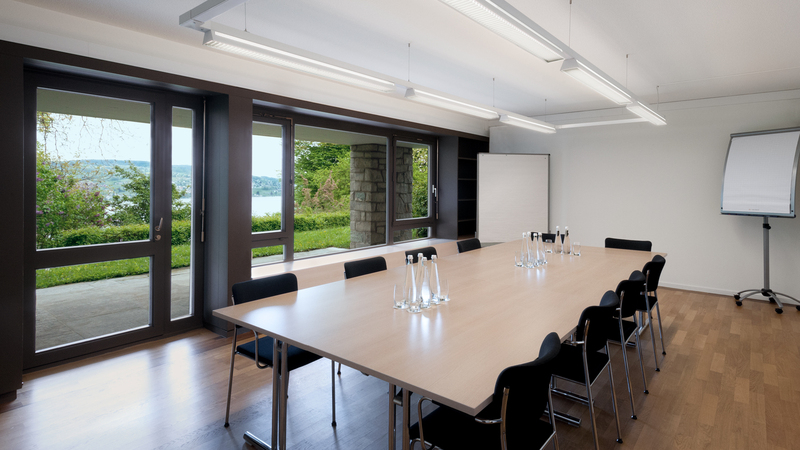 The GDI Gottlieb Duttweiler Institut offers a large number of different rooms under one roof. For outdoor events, the meadow in the Dutti Park is also available. The most space is provided by halls 1 and 2, which can be joined together to form a large event area. In rows of chairs can accommodate up to 310 people. 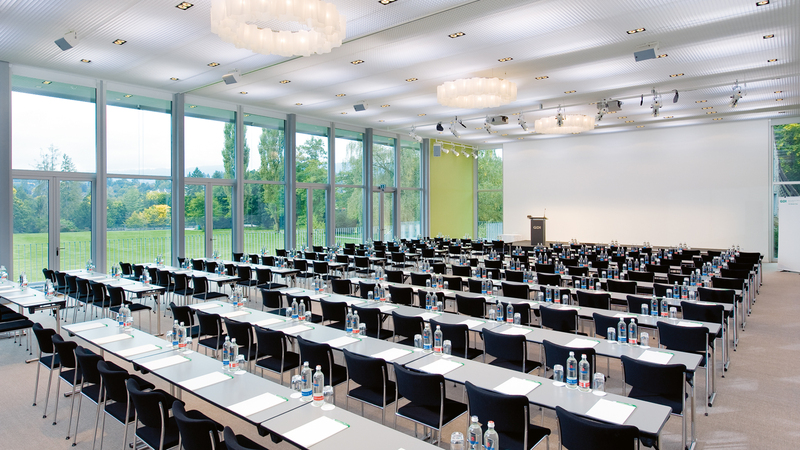 A parliamentary seating arrangement is possible for a maximum of 230 participants. The balcony offers direct access to the garden lounge. Of course, both halls can be used individually if required. 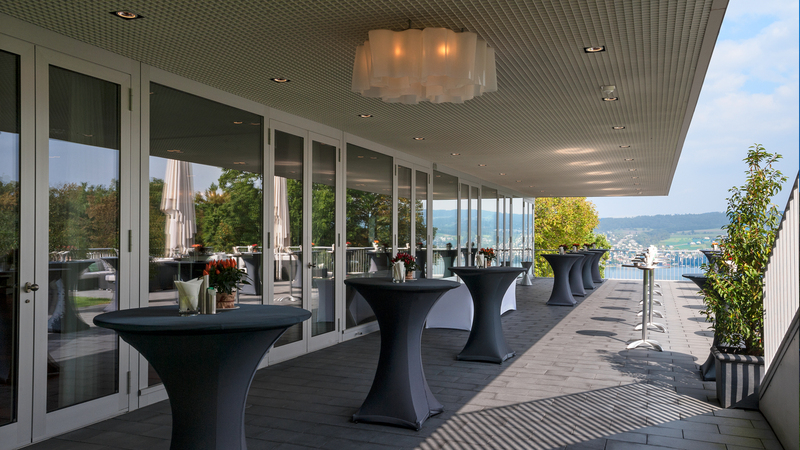 The upstream foyer with a great view of the lake, the Gold Coast and Zurich, is ideal for the reception of your visitors. The park terrace is the ideal place for a relaxing break in the fresh air on warm days. In addition to bar tables, comfortable lounge furniture is available. 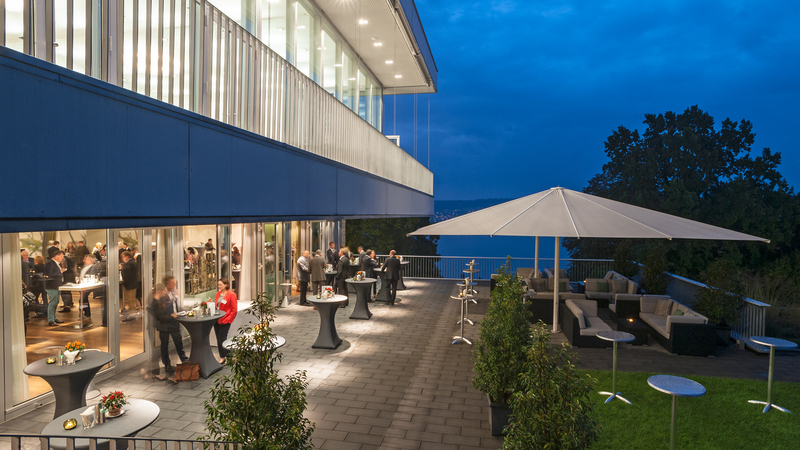 Receptions can be realized on the terrace with up to 150 guests. 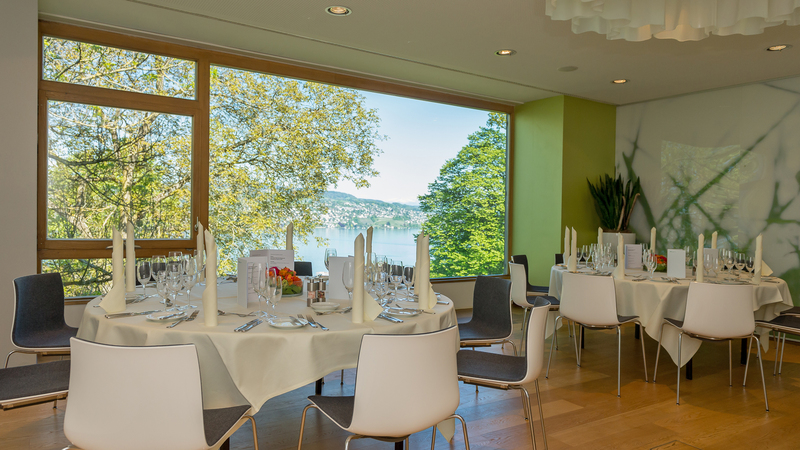 The restaurant with its homely ambience is suitable for banquets for up to 180 people. 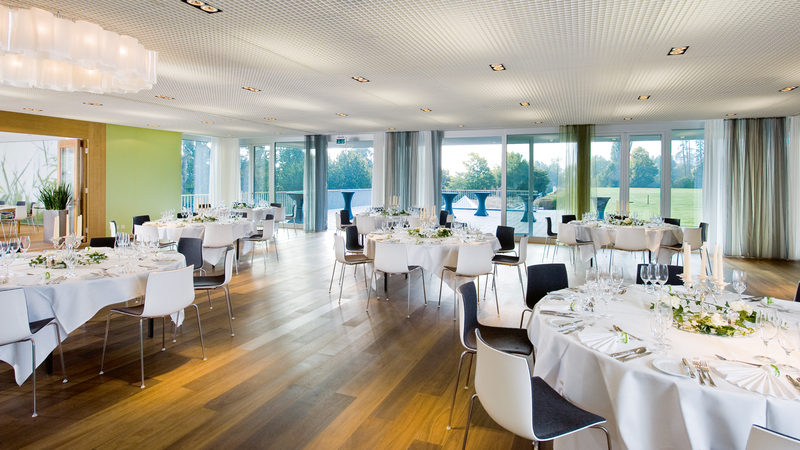 Receptions are possible in this area with 250 people. For larger numbers of people, room 1 can be added, so that 40 more people can be charged. 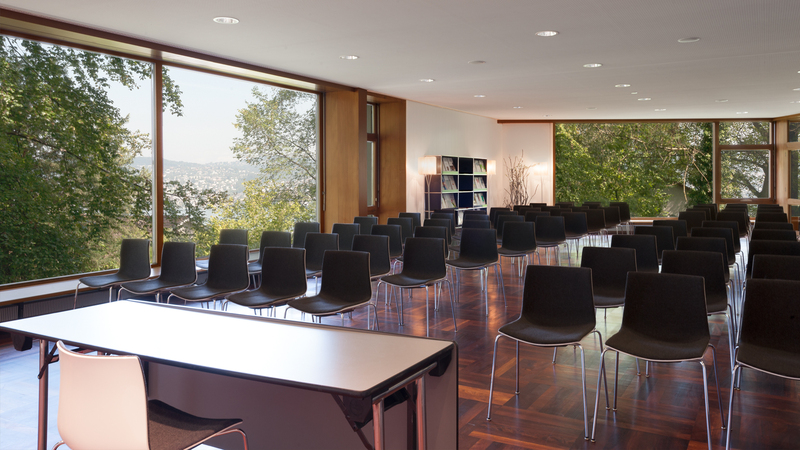 For seminars, workshops and meetings, there are still the rooms 2 to 8, which can be partially combined with each other. In front of the rooms 2 and 3 there is another foyer. Another event space can be found in the former library with adjoining media room.